The text for the Benz courses is Flowers: Creative Design by James L. Johnson, William J. McKinley and M. Benz. 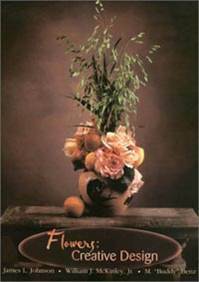 This beautifully revised book, originally authored by M. “Buddy” Benz and considered by many to be the guide to modern floral design, is used by colleges, universities, high schools, and vocational programs. Both beginners and advanced students appreciate the mix of practical application information along with a thorough study of the principles and elements of design. Click here to order through Texas A&M Press.